Before this summer, LEAP/E2020’s team announced that there would be no recovery in sight in September 2009, and not until summer 2010 in any event. Well indeed, contrary to the claims of the media, and financial and political circles, we confirm our anticipation. The slowdown in the speed of collapse of the global economy, at the origin of all the « good news » (1), is only due to the world’s enormous public financial effort of the last twelve months (2). But the « time saved » using taxpayers’ money around the world should have been dedicated to redesigning the international monetary system at the heart of the current systemic crisis (3). Yet, besides a few cosmetic considerations (4) and huge gifts to US and European banks, nothing serious has been undertaken, and, when it comes to the future, the « every man for himself » rule prevails (5). Now, as summer 2009 comes to a close, and as the three rogue waves start impacting the global economy hard (unemployment (6), bankruptcies (7) and monetary shocks (8)), the time to mend the system, or to prepare for a soft transition towards a new global system, is over (9). The first signs of a major decoupling (10) are beginning to appear: the rest of the world is rapidly moving away from the Dollar zone. As shown by the chart below, there is a 95 percent chance that 1,000 billion new USDs will be printed in a very near future… not very attractive for the Dollar zone. We are heading straight to the phase of geopolitical dislocation expected to begin in the fourth quarter of 2009 (11). In this issue of the GEAB, our team analyses the trends at work (real estate market, srategic issues…) within the current chaos resulting from a flood of unchecked public expenditure and a persistently uncontrolled financial system in a context of growingly inconsistent statistics. Paradoxically, dislocation has become, according to our researchers, the only way to economic recovery (a recovery that will take place around a global architecture and interaction between economic, social and financial spheres profoundly different from anything we knew in past decades. Our team believes that the first features of the “post-crisis world” should begin to appear by summer 2010 and, in the coming months, they will dedicate themselves to their identification. Meanwhile, as anticipated in the previous editions of the GEAB, no one can now construct a true picture of today’s global economic situation as macroeconomic figures are more and more contradictory or simply absurd (12). Measurement data and instruments have been so manipulated (13) and limited to a volatile US Dollar as sole benchmark (14), that no government, international organisation or bank (15) can now tell in which direction the global system is heading. The media reflect this chaos and contribute to their readers’/auditors’/viewers’ bewilderment: depending on the day, or even the hour, that they give contradictory news on finance, economy or currency. Policy makers, entrepreneurs, employees,… economists or analysts… are reduced to Pascal’s wager (16) to assess what will happen in future months. According to LEAP/E2020, the chart above tells about facts that cannot be ignored: the global economic, financial and monetary system is drifting at an increasing rate, its weakness is reaching unequalled lows in modern history, and the slightest shock (financial, geopolitical or even natural) can now break it apart (17). The States’ breathtaking plunge into bottomless public debt (18) (governments feel that, without the support of public money, world economies would soon resume their collapse) is creating a literally explosive situation, conveying massive tax increase in Japan, Europe, the US… If there is any recovery in sight, it is that of tax. As a matter of fact, confronted to historic unemployment rates and a free-falling economy, Japanese voters decided to dismiss their decade-old leaders: they have probably inaugurated the great political upheaval of the next phase of the crisis (19). This summer, the Obama administration was also surprised to discover the importance of the popular anger which focused on his health system reform programme (though a much needed one). Here is a very illustrative analogy of the crisis today that imposed itself on our researchers: a rubber ball in a staircase. It seems to rebound on every step (then giving the impression that the fall has stopped) but it falls even lower on the next step, “resuming” its collapse. Of course, all this doesn’t create a favourable investment climate for business. Production capacity is under-used everywhere in historic proportions. Stocks are only renewed at a drip-feed rate (eliminating any hope of a recovery based on their replacement). Consumers have become realistic economically: no money, no purchase. Their salaries fall when they haven’t simply been lost through job losses, the banks don’t lend any more because they know that they themselves are still insolvent (despite the “golden” powder thrown in the eyes of public opinion these last months) (21). The state itself, on its own, cannot substitute itself for the frenetic consumerism of the past. In the US, a return to the previous state would require about USD 2,500 billion pumped into the economy each year. Barak Obama’s stimulus package, less than USD 400 billion a year over two years is far from the amount needed if he has to replace the non-spending of households and businesses. The problem is that this is exactly the present situation of the US economy.
. and, of course, the impact of all this on the US Dollar, Treasuries (and the UK, suffering collateral damage) . The first wave already reached the shore at the end of summer 2009. The second one is coming up. And the third is beginning to appear on the horizon. In any event, if the Eurozone and Asia are in a better situation to face up to the impact of these waves (as already analyzed in GEAB N°28 of last October), their situation is not so good that they can expect a recovery yet. It is however on the US, the Dollar and US Treasuries on the one hand, and on the UK and the Pound on the other , that the consequences of the three waves will be harder. Mid-summer night dreams also have an end! But for those who still have enough money to travel, the holidays can go on as hotels, airline companies, holiday resorts… are giving discounts at prices never seen before. Another sign that the recovery is here! (1) For example, the fact of talking in percentage points is part of this summer’s « euphoria » operation. Indeed, many banks, whose stock price was close to zero could claim « rebounds » of +200 percent, +300 percent or +500 percent. Taking a look at Natixis, Citi or Royal Bank of Scotland stock prices helps to understand the trap: regaining 500 percent when the stock fell down to 1, that makes 5… which would leave you holding a loss of 40 if you bought 2 years ago (or if you borrowed money in exchange of this security). (3) See LEAP open letter to the G20 published last April in the Financial Times on the eve of London’s G20 summit. (4) The great « traders’ bonus hunt » is morally praiseworthy. However it should not make us forget that traders are nothing but the « privateers » of the banks hiring them and of the financial centres hosting the latter. These employers and their hosts give them their « letters of marque » (or should we say « of bonus »?) authorizing them to buccaneer the seas of global finance. Limiting their bonuses to their total salary would compel banks to hire them as master mariners instead of filibusters. (6) In the United States, the real rate of unemployment growth remains between 600,000 and 1 million new jobless every month, if we include those who decide to stop searching for a job (source: CNBC/New York Times, 09/07/2009). To get an idea of the socially explosive wave currently hitting the US economy, in California, since September 1st, 143,000 new jobless are no longer entitled to insurance benefits (including their families, that makes an extra 1 million people in distress… just for this month) – source : MyBudget360, 09/02/2009. In Europe, Asia, … everywhere, unemployment rates are almost the highest in modern history (at 5.7 percent, Japan already reached its historic high in July – source : Japan Times, 09/08/2009) … despite all sorts of manipulation to reduce the figures. (7) As an anecdote, there have been more bankruptcies in the US between GEAB N°36 (June 16, 2009) and GEAB N°37 (September 16, 2009) than during the whole of 2008, including two of the most important bankruptcies of the year. But, of course, the media cannot make their headlines on both swine fever and bankruptcies. The same goes for the rate of US corporate bankruptcies which has reached a 12.2 percent all-time high (source: Yahoo, 09/09/2009). 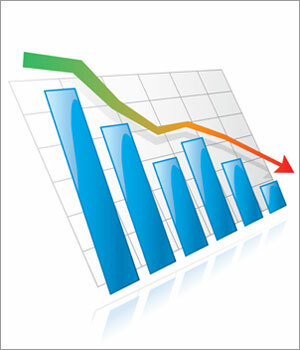 In Spain, the number of bankruptcies in the first semester of 2009 is three times the number in 2008 (source: Spanish News, 08/06/2009). In France, employers expect 70,000 corporate bankruptcies by the end of this year (source: Capital, 09/02/2009). (9) As we said, such a « window of opportunity » existed between spring and summer 2009. This window is now closed. (11) See GEAB N°32, 02/2009. (15) Banks which, in April 2009, were eager to get the right to return to the « fair value » system (I estimate my asset is worth 100) (source: Bloomberg, 04/02/2009) instead of valuing their assets at “market value” (on the market, your asset is worth 10). Thus they persist in keeping assets in their balance sheets which they cannot realistically value; precisely because they suspect these assets to be worth 10 or 20 percent of their ‘fair value. The countryside and cities of the US, UK, Spain, Latvia, Japan, China, and other countries are full of houses, flats and buildings that no one buys because their prices are artificially maintained high above the market price so that banks’ balances sheets do not show that they are in fact insolvent because almost all their assets are “rotten”. Bankers too are trying to save time, in the hope of a return to yesterday’s world. Are they old children nostalgic of their golden age or big offenders endangering society? The future will soon tell us as the next phase of global geopolitical dislocation will develop. (16) Refering to Blaise Pascal’s argument to convince miscreants to believe in God: wager as though God exists because if it is so, paradise is the reward, and otherwise, it simply doesn’t matter; while the contrary wager might take you to hell. (17) In the next GEAB, the October issue N°38, we shall update our country- and big region-based anticipations, including of course an assessment of the situation regarding US and UK defaults. (19) In the US, in Europe and in China too. Sources: Reuters, 09/08/2009; Financial Times, 09/06/2009; BBC, 07/26/2009. (20) On the subject of banks, our team strongly recommends reading the excellent article by Matt Taibbi, “Inside the great American bubble machine” which appeared in Rollingstones on 07/02/2009. It sets out the history of Goldman Sachs and throws essential light on its financial practices and central role in the current financial crisis. In the way of deceased India companies, or the knights templars, it is likely that in five to a maximum of ten years from now, American political power, in the face of a socio-economic collapse and under public pressure, will be obliged to tear apart this institution which interferes in all levels of government activity. (21) In the end, all these indicators depend on the US Dollar as a measure of value. But if Dollar volatility were to be transferred to a compass, we would see the needle swing between North, South, East and West every month. No wonder then that political, economic and financial leaders are so « disoriented »! (22) Napoleon too, during the battle of Waterloo, firmly believed th at luck was still on his side and that reinforcements (Grouchy) would materialize at the decisive moment of the battle. Alas, the long awaited troops, whose dust showed their rapid progress, happened to be the enemy’s reinforcements (Blücher). We know what happened next… and we cannot bet that the G20 leaders are strategists as experienced as Napoleon was.